TeraSigma Consulting: What is Open Innovation? However, several factors have led to the erosion of closed innovation (Chesbrough, 2003). First of all, the mobility and availability of highly educated people has increased over the years. As a result, large amounts of knowledge exist outside the research laboratories of large companies. Second, the availability of venture capital has increased significantly recently, which makes it possible for good and promising ideas and technologies to be further developed outside the firm, for instance in the form entrepreneurial firms. 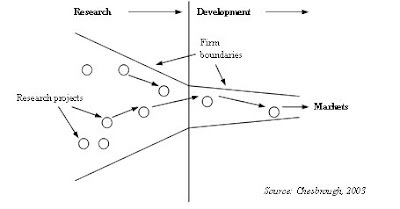 Finally, other companies in the supply chain, for instance suppliers, play an increasingly important role in the innovation process (Figure 2). 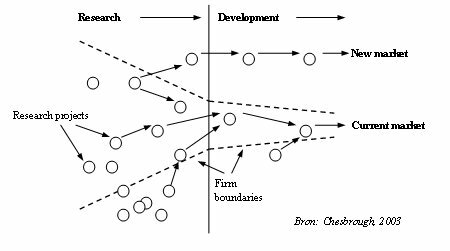 Open Innovation can thus be described as: combining internal and external ideas as well as internal and external paths to market to advance the development of new technologies. 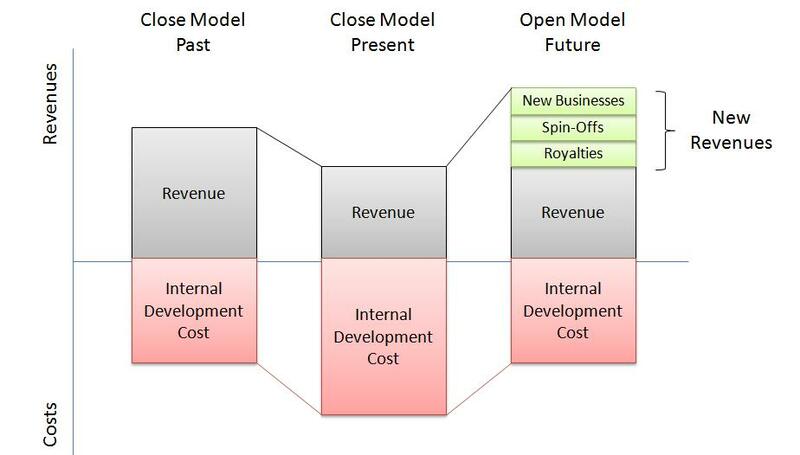 How to identify if my organization is in "closed" or "open" innovation mood? Open innovation gives the flexibility to organizations to focus on their core business or drive a new business model. 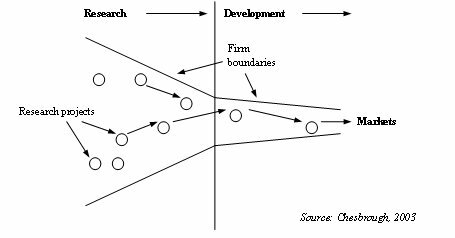 Small and large organizations are learning that many of the best ideas, approaches and solutions come from outside their boundaries helping them as well to minimize risks and costs associated to Closed Innovation. This automatically release resources to attend new products/services to the market. Feel free to leave your comments below or contact us at contact@terasigma.com to discuss further this or any topic you need.